The Buddha considered such practices as fortune telling, wearing magic charms for protection, finding lucky sites for buildings, prophesising and fixing lucky days to be useless superstitions and he expressly forbade his disciples to practise such things. He called all these things 'low arts'. 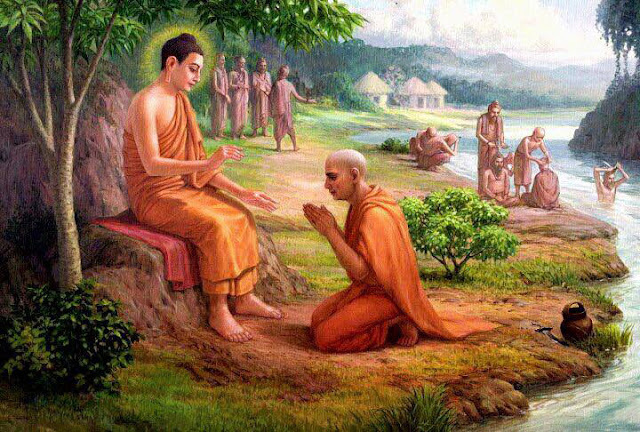 "Whereas some religious men, while living off food provided by the faithful make their living by such low arts, such wrong means of livelihood as palmistry, divining by signs, interpreting dreams, bringing about good or bad luck, picking the lucky site for a building, the monk Gotama refrains from such low arts, such wrong means of livelihood". Then why do people sometimes practise such things and believe in them? Because of greed, fear and ignorance. As soon as people understand the Buddha's teachings, they realise that a pure heart can protect them much better than bits of paper, bits of metal and a few chanted words and they no longer rely on such things. In the teachings of the Buddha, it is honesty, kindness, understanding, patience, forgiveness, generosity, loyalty and other good qualities that truly protect you and give you true prosperity. Being deeply learned and skilled; being well-trained and using well-spoken words - this is the best good luck. To support mother and father, to cherish wife and child and to have a simple livelihood - this is the best good luck.